The fire department carries out more than 3,500 inspections of buildings on a yearly base. 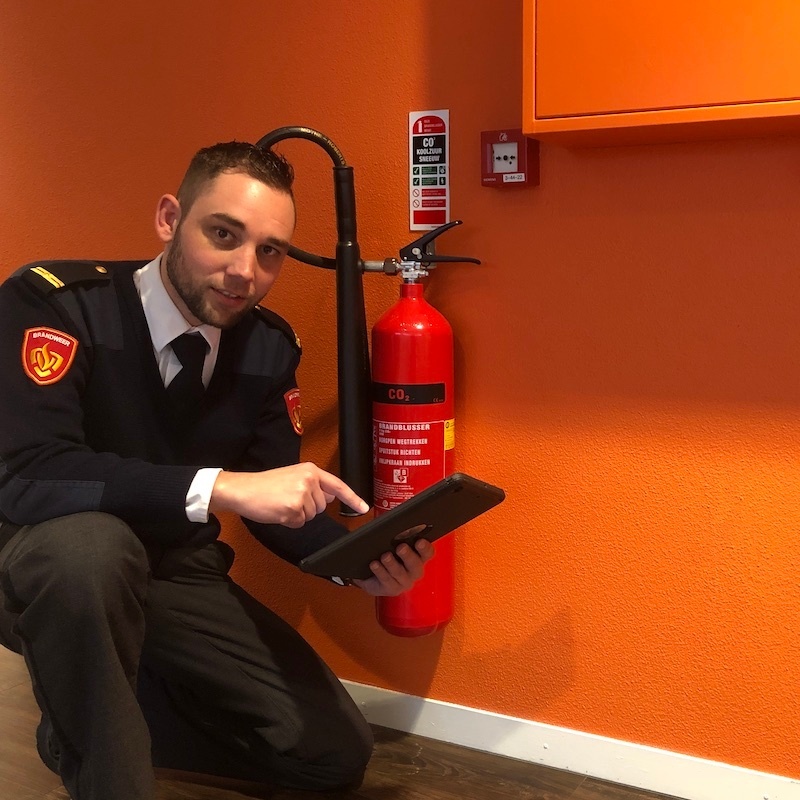 This involves checking if regulations are met and advising on reducing the (fire) safety risks. The inspectors of the Risk Management department periodically visit the buildings depending on the risk factor. For example, a nursing home and a daycare center are on the program every 2 years and an office building every 4 years. Pieter himself created the intake form with the online Form Builder. This intake form is filled in digitally with the app. MoreApp's software ensures that a ready-made letter with attached report is mailed to the regulator of the building. Rob Sloot, inspector, shows how he completes a digital intake form. He opens MoreApp on his iPad and navigates to the correct digital form. He enters the general information and proceeds to the risk points. If he captures a risk point, such as a fire door that does not function properly, he adds 2 photos. A photo of the exact location of the door on the floor plan and a photo of the door itself. Previously he described the issues. Only with writing it was unclear to others what he meant exactly. In this case, photos say more than 1,000 words. How do customers respond to this digital way of reporting? The customers are happy with the digital report that they receive afterwards. Both the fire department and the customer no longer print anything. The department saves 30,000 A4 pieces of paper per year. The report with the advice was also sent by post. The customer is happy for the following reasons; they receive the report faster and there is less discussion because the report is much clearer, also because of the previously described photos. The risk management department also sees that the points for improvement are addressed more quickly. Why does the fire department work with a digital intake form? You can do much more with a digital form than with a paper form. Customer and object information are imported, which saves the inspectors from typing in already known information. 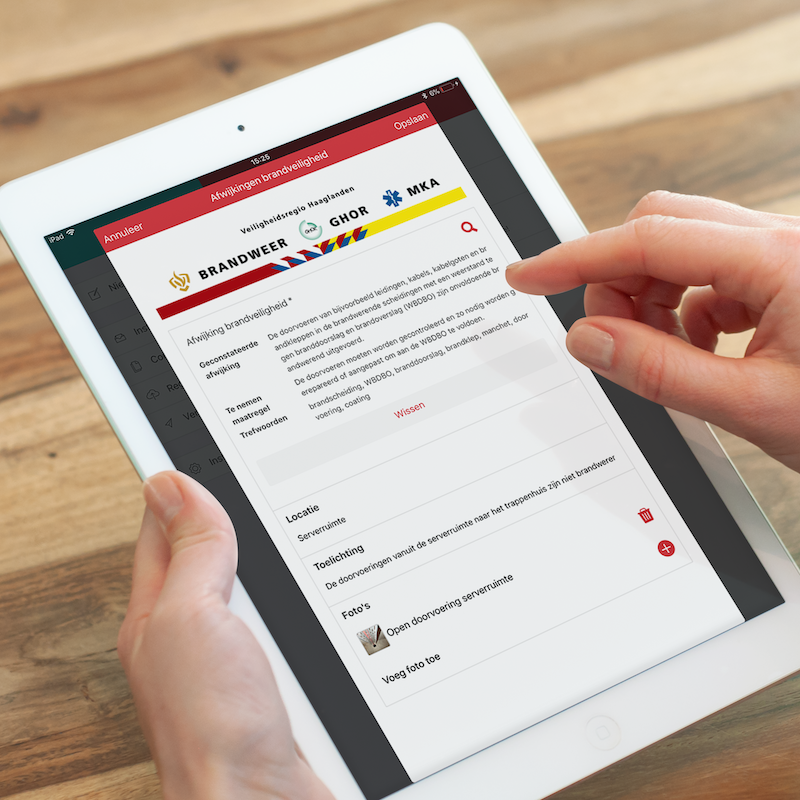 The user-friendliness and being able to create and manage forms themselves are, besides saving time, the greatest advantages for the employees of the fire department. Do you want to save time just like the fire department? Sign up to try it yourself!